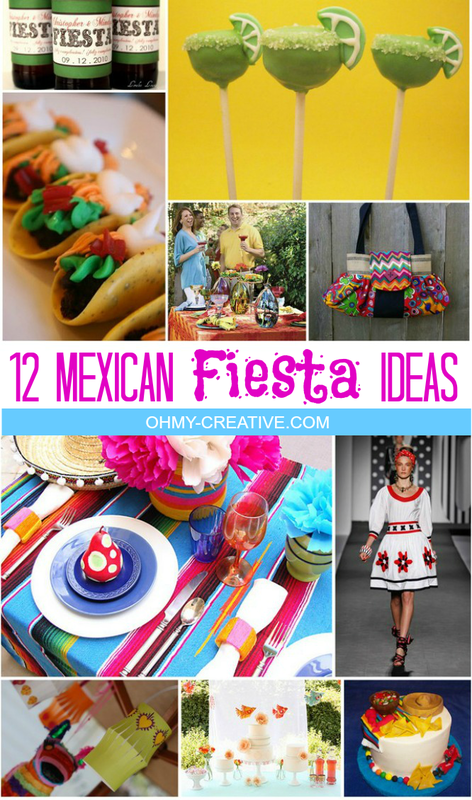 Of course Cinco de Mayo is around the corner, but a fun Mexican Fiesta theme is fun all summer long. It’s easy to throw together bright colored table top items along with a pitcher of margaritas and you have an instant party. Here are few party printables and stylish finds for you. Click the links to make your own Chili Pepper Party Pom or below you will find a great link to Mexican Fiesta Recipes! Get the party started by making these Mexican Fiesta Chili Pepper Party Poms! Printable Fiesta Bottle Labels from Loralee Lewis on Etsy – Margarita Cake Pops from Bella Roca on Etsy – Taco Treats from And Everything Sweet – Cinco de Mayo Party from Sunset – Boho Mexicana Handbag from Cayenne Peppy Bags on Etsy. Start the party off with a few of these Festive Mexican Fiesta Recipes! 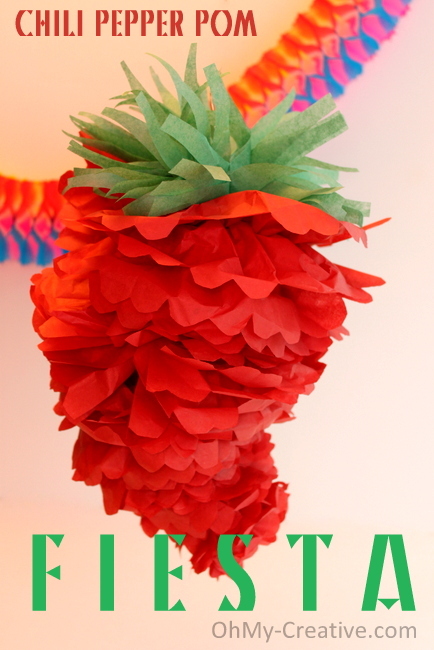 Create a cheap Mexican Fiesta or Cinco de Mayo centerpiece for a dollar using tissue paper!